The first step to solving proportions is cross multiplying. For example, we are told to solve the proportion 13/3 = x/9. We cross multiply 13 •9 and 3 • x. Remember, the equal sign does not go away, so don't forget about it! 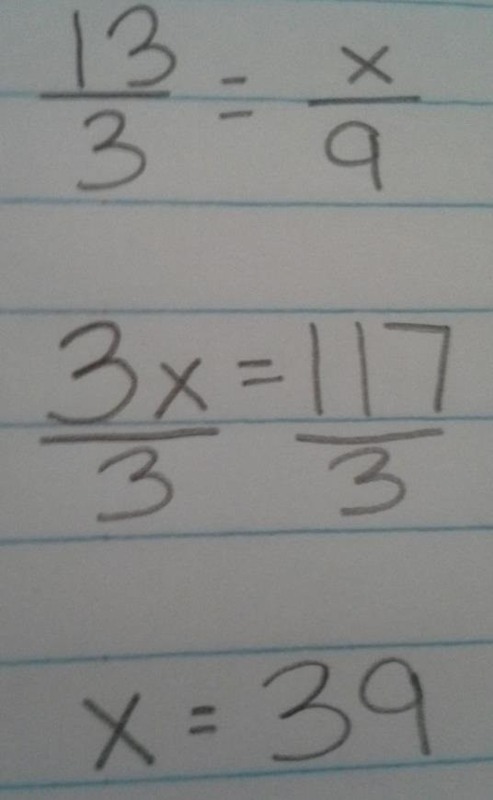 The equation is now 3x = 117. We need to isolate the variable so we do 3x ÷ 3, which is x, and 117 ÷ 3, which equals 39. We now know that x = 39.